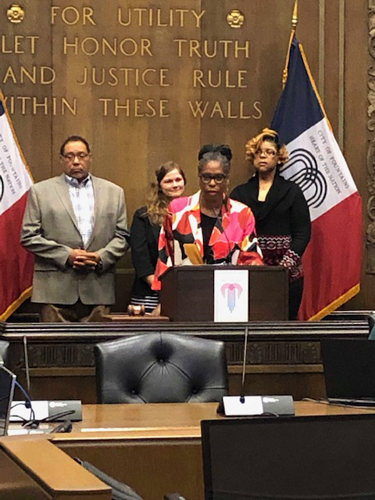 Director of Center for Neighborhoods Dina Newman accepted recognition from KCMO City Council on behalf of the organization. 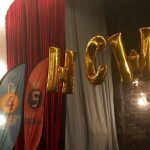 The Center for Neighborhoods at the UMKC Department of Architecture, Urban Planning + Design was recognized by the Kansas City, Missouri City Council on Dec. 20, 2018. 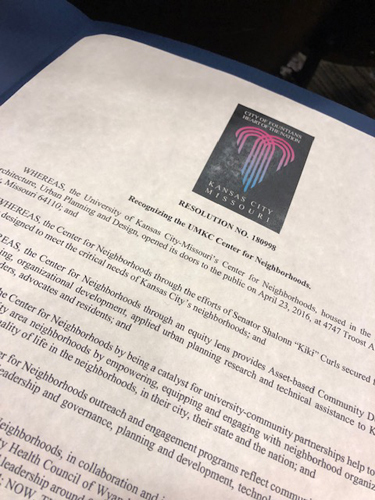 This recognition acknowledges the Center’s mission to equip, empower, and engage Kansas City’s neighborhood leaders with the tools they need to address the challenges and uplift the assets of their neighborhood. The proclamation specifically honors the Center’s community engagement and outreach efforts around the Supplemental Nutrition Assistance Program (SNAP) and Conservation Titles found in the 2018 Farm Bill. 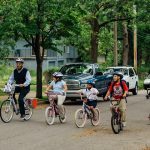 The Center for Neighborhood’s mission is to ensure that our neighborhood leaders’ voices are heard and that those voices are amplified – particularly, around issues that directly influence their community and their daily lives. 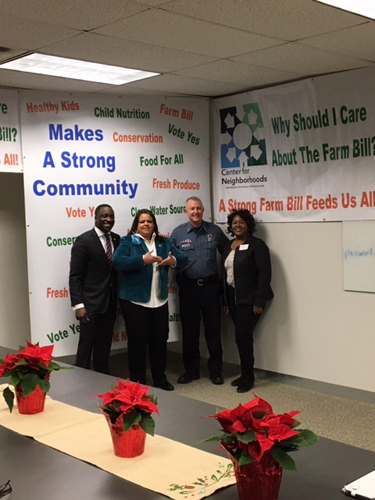 The “KC Voices” grant allowed us and our partner organizations – KC Healthy Kids, Community Health Council of Wyandotte County, and the Historic Northeast-Midtown Association – to engage our communities in the “grass middle” processes of advocacy and storytelling around the Farm Bill. 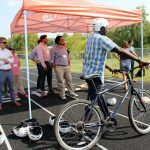 This was made possible through a Convergence Partnership Fund of Tides Foundation grant to Health Forward Foundation. When we discuss the Farm Bill, most often people think of our rural farmers. While our rural farmers are, certainly, impacted by the policies and procedures of this legislation, the truth is the Farm Bill touches almost every part of our food system. The unfortunate and often inaccurate narrative told about those who receive SNAP benefits is that the recipients are ‘lazy, welfare-dependent people of color,’ but the truth is the Farm Bill helps food insecure people in ALL of our communities – including our children, working adults, people with disabilities, seniors and students. Quite simply, the Farm Bill feeds us all. During our outreach, we learned there were those who are not, necessarily, concerned about our agriculture and food systems, but they are deeply concerned about the conservation piece of the Farm Bill. Many were surprised to learn that in the Kansas City area, $3.6 million in conservation funding helped 17,136 Missouri farmers and ranchers (18,205 Kansas) protect soil, water, air, and habitat. I’m thrilled that our efforts were recognized by the Mayor and the Council, and I’m personally grateful to my “knocking-on-doors-til-midnight” team of Minister Gregg Wilson, Cashe Wilson, and Beth Beavers whom, without their countless hours of educating and working in the community, near and far, helped to push this piece of legislation across the finish line.